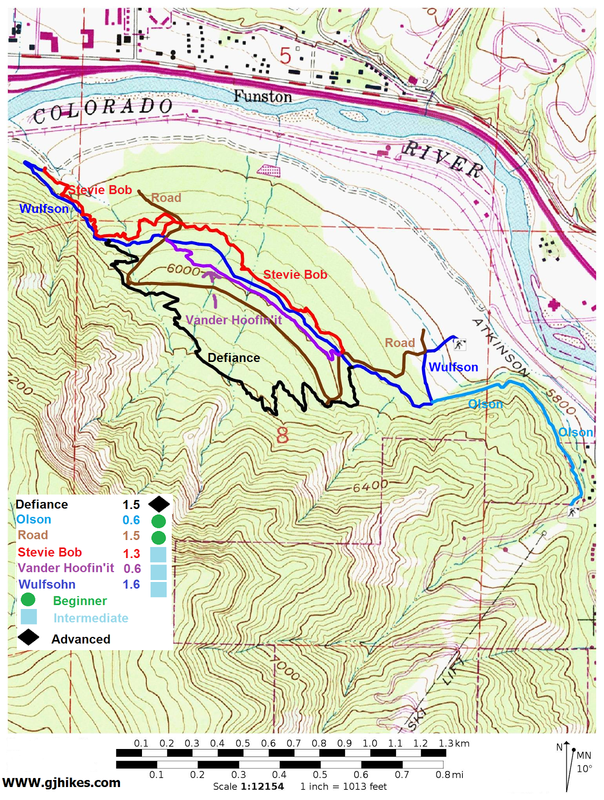 The Stevie Bob trail is located in the Wulfsohn Mountain Park in Glenwood Springs, Colorado. The Wulfsohn Mountain Park is located just west of the Glenwood Meadows Shopping Center off of Midland Avenue. The park, which protects about 215 acres of land, was deeded to the city as part of the development agreement for the Glenwood Meadows in the year 2002. Recently a system of hiking and mountain biking trails, of which Stevie Bod is one, have been constructed in the park. 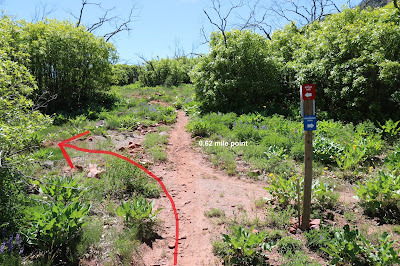 For this post we began at the north end of the Stevie Bob trail where the Wulfsohn trail also begins (or ends depending on your perspective). The road it begins off of has a locked gate so the trailhead can't be driven to at present. 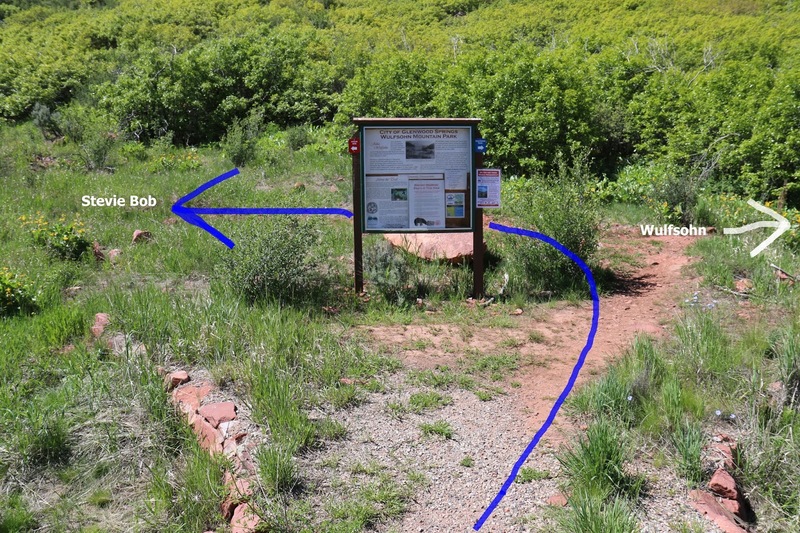 What we did was to ride the Stevie Bob trail to loop back the other way after having just completed the Wulfsohn trail. In June of 2002 this whole area was burned during the Coal Seam fire. All of the oakbrush and other vegetation that you see has sprung up since that time. 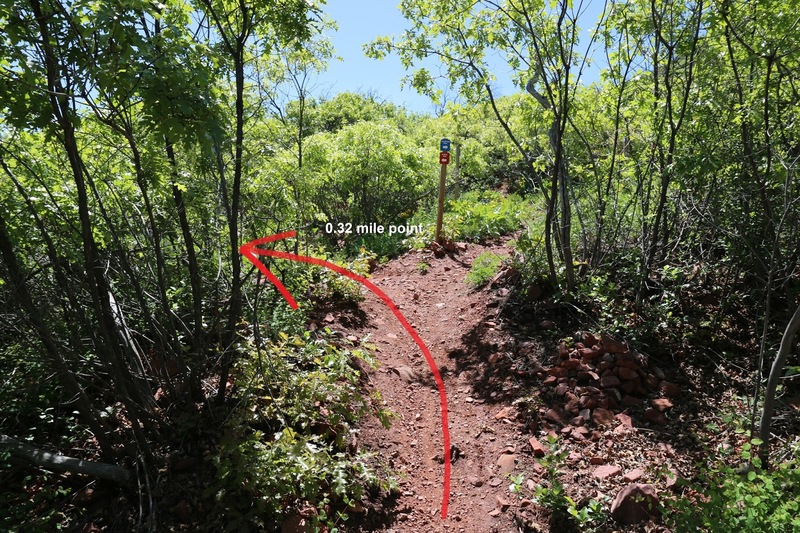 For most of its course the Stevie Bob trail is secluded by the thick growth of brush. 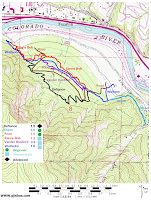 As the trail leaves the trailhead it gains in elevation at a steady but easy pace. The trail is a little rocky in places but not too bad overall. At the 0.32 mile point Stevie Bob kisses up against the Wulfsohn trail. After that trail junction the route levels off considerably as it continues toward the south. At the 0.62 mile point the Stevie Bob and Wulfsohn trails once again make contact. Shortly after that junction the Stevie Bob trail crosses what we are calling the Wulfsohn Mountain Park Road for lack of a better name. 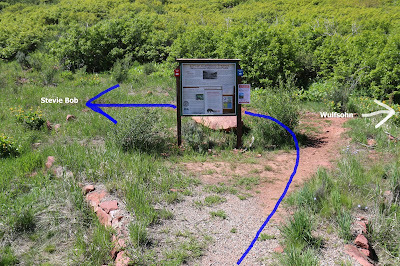 There is at least one trail sign that refers to it simply as 'Road'. 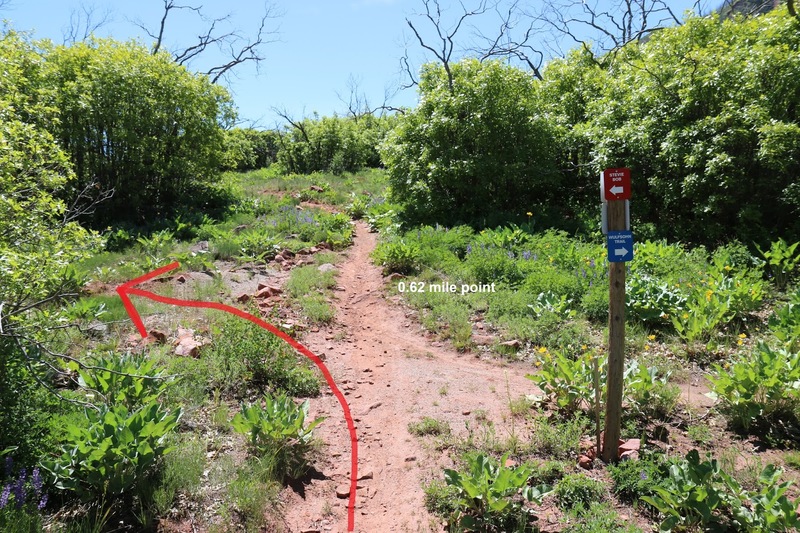 The last half of the trail going in this direction is a pretty easy ride as it stays fairly flat and travels in and out of the brush. The south end of the trail is at another junction with the road. At this point the Wulfsohn trail is cutting across the road. A short distance to the right is the south end of the Vander Hoofin'it trail. From here we got on the Vander Hoofin'it trail and road it next going back in the other direction. 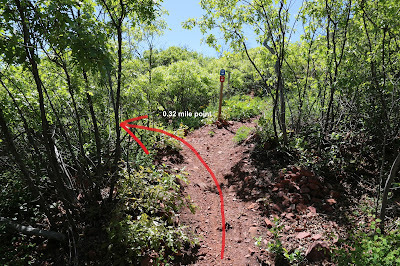 With all of the interconnections that these trails make you can come up with all kinds of routes of your own. We saw a surprising number of trail runners while we were here that appeared to be getting as much enjoyment out of the park as we were. If you would like to see it for yourself then all you have to do is grab your bike or 'Take a hike'.